David Lammy, Labour MP for Tottenham, in north London, expressed concern over the findings. "I am upset and angry that we have let knife crime reach record levels," he wrote on Twitter. "There is no silver bullet for this problem, but various complex factors must be urgently addressed. Ambivalence and inaction will mean more young lives are needlessly lost." 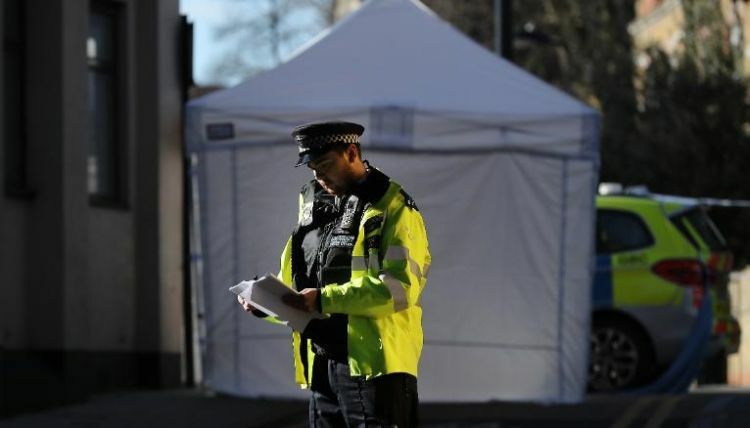 "The police already have a range of measures they are using to keep our streets safe, but there is more we can do to help them in this battle," Javid said when presenting the measures. "I have listened to their calls and will be introducing these new orders to stop gang members carrying knives in the first place." Sarah Jones, a Labour Party MP, who chairs the All-Party Parliamentary Group on Knife Crime (APPG), told CNN in a statement, however, that Javid's measures risk "criminalizing a generation of young people who have grown up unsupported and who often turn to carrying weapons out of fear." "Knife crime is an epidemic which the government has failed to grip," she said. "Ministers have listened to our calls to intervene with young people at an earlier stage -- but this proposal is flawed. Imprisoning a young person as young as 12 for two years for breaching this order is completely disproportionate."